A packing tape dispenser is ideal for sealing boxes, cartons and makes light work of all heavy duty packaging jobs. Rapesco’s 960 dispenser is quick and easy to load, too. 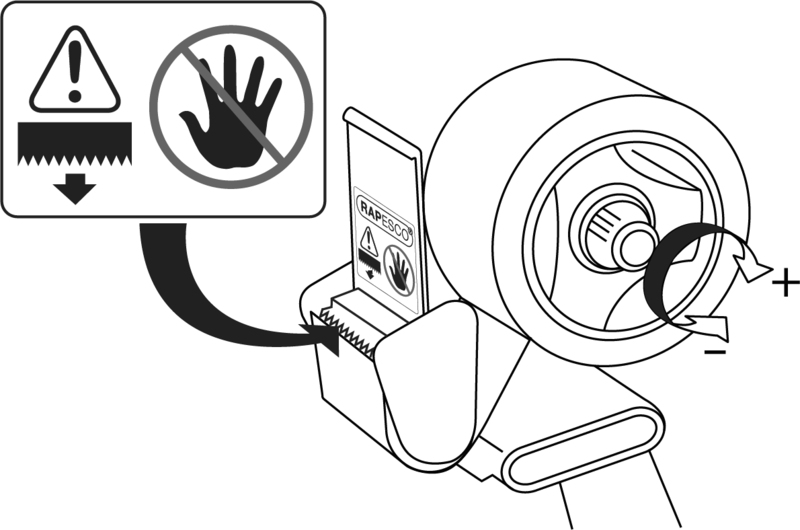 Insert the roll of packing tape onto the large dispenser wheel on the top-right of the tape dispenser with its handle grip to the right. 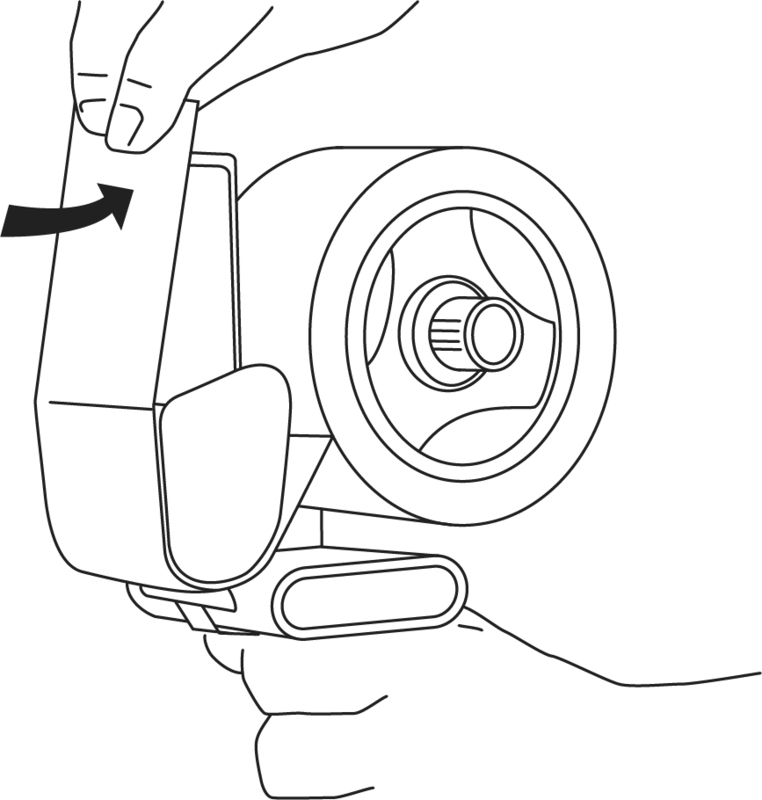 Position the tape roll so that it will unwind with the sticky side facing down as the dispenser is pulled backwards. 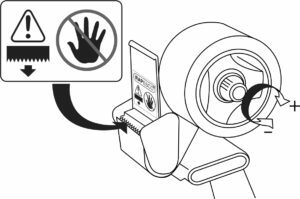 Pull the front end of the tape roll through the slot between the dispenser roller and metal guide. 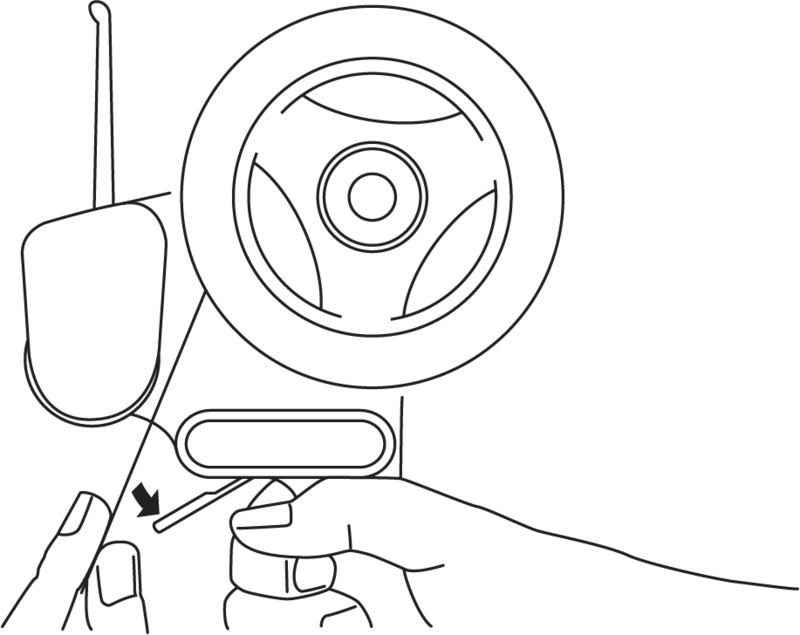 The guide can be held open by pressing down on the extended metal tab. The sticky side of the tape should face down/ away from the edge of the blade. 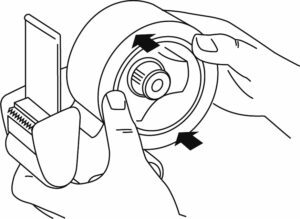 If you have the tape in the wrong way, the tape will stick to the dispenser roller, so make sure the sticky side is face down. 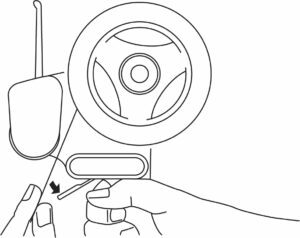 Pull up the tape so the tape is over the cutting bar/ serrated blade, being careful not to cut yourself on the sharp blade. 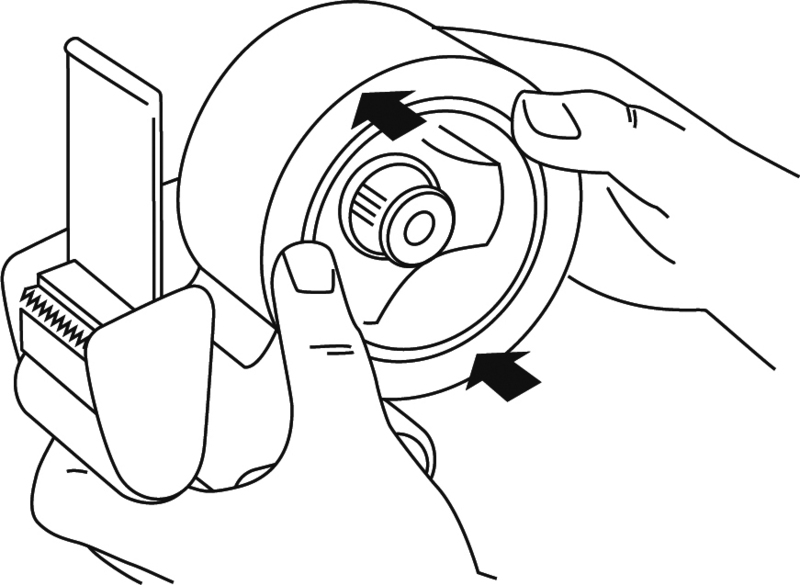 To test the dispenser, pull a small amount of tape out and cut the tape with the serrated blade or by pressing it against a box and pulling back to make sure the tape unwinds and adheres correctly. 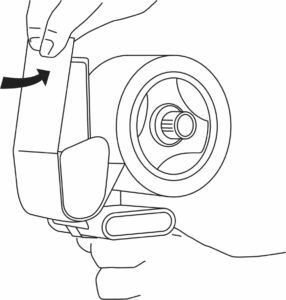 Adjust the tension on the dispenser (in the centre of the large dispenser wheel) to set a smooth and comfortable unwind mechanism. CAUTION: the cutting blade is sharp, use carefully and be aware while loading and adjusting the tension. Your tape dispenser is now ready to use.